Hailing from the West Midlands, NAMIWA JAZZ ‘s sound combines many aspects of black music – reggae, funk, RnB, African jazz, even gospel, British soul, and hip-hop infused vibes. She defines such an explosive and personal mix of genres as Afrotwang. However, there’s more to her than music eclecticism, since her songwriting is simply honest and soulful, straight to the point yet poetic, alternating joy to melancholy and fierceness. Receiving plays from DJ Trevor Nelson and HW Stevens and backing from BBC WM, Namiwa Jazz is coining her unique Afrotwang sound. She has supported the likes of Jimmy Cliff, Public Enemy, Steel Pulse, Teedra Moses, Jacob Banks, Ameriee and Lee Fields in numerous festivals and venues all over UK and Europe. 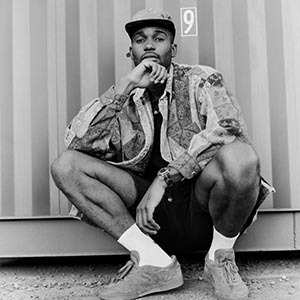 Eclectic and emotional like the best Janelle Monae, and rising star in the new flourishing Soul/ R’n B Birmingham scene, Namiwa Jazz ended 2018 on a high with a packed show at the legendary Hare and Hounds. 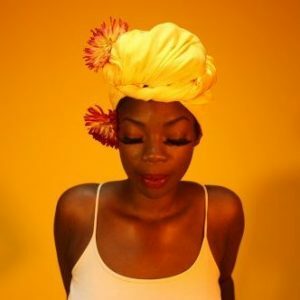 With the forthcoming release of her new EP ‘Afrotwang‘, two nominations as Best Female Act and Best Jazz/ R’nB artist at this year’ edition of Birmingham Music Awards and a serie of gigs and collaborations planned in Europe and North America this summer, Namiwa has the world at her feet moving into 2019.